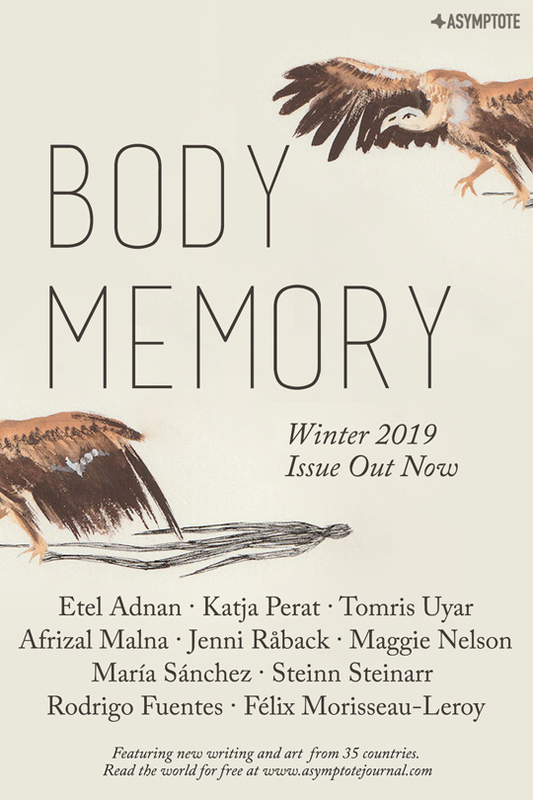 As Asymptote's partnership with this year's UWRF winds down, join our Editors-at-Large as they reflect on all that happened in Ubud. 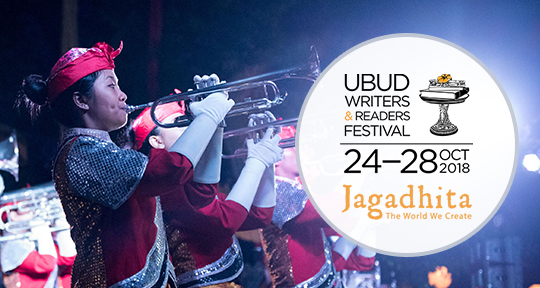 On the night of October 28, the Ubud Writers & Readers Festival (UWRF) wrapped up after four consecutive jam-packed days. Mornings, afternoons, and evenings were filled with stimulating conversations and lively panel discussions, film screenings and book launches, poetry slams and musical performances, all set in the culturally fertile town of Ubud in Bali, Indonesia. 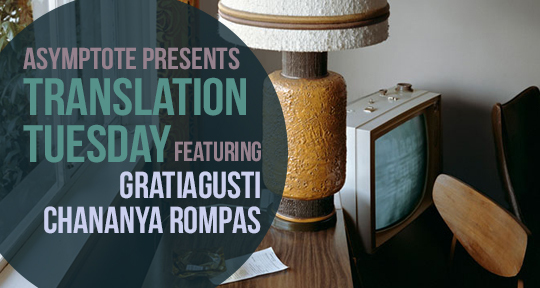 Australia Editor-at-Large Tiffany Tsao and Indonesia Editor-at-Large Norman Erikson Pasaribu were invited to speak in their capacities as writers. In this retrospective dispatch, each of them reflects candidly on their experiences at this year’s UWRF. There was so much about participating in UWRF that was wonderful and exhilarating, but as I (Tiffany) write this, I’m realizing how exhausted I am! It’s mostly a good exhaustion—the kind that one experiences after being exposed to so many interesting ideas, books, and people. My head and heart are still abuzz, and the festival concluded several days ago! There’s certainly some physical exhaustion thrown into the mix as well: I brought along my 10-month-old son, Azure. The festival was immensely supportive and bought him an infant plane ticket and made sure there was a crib in the room. Plus, my heroic father flew from Jakarta to babysit while I was busy participating in events and meeting people. Unfortunately, Azure slept fitfully during the nights before deciding at around 5:00 am each morning that it was time to rise and shine, which meant that I gained a new appreciation and appetite for coffee. Glorious, glorious coffee. Although wet, Batara’s eyes now gazed fiercely at the nation, whose far corners the Brunch Fairy never visited. 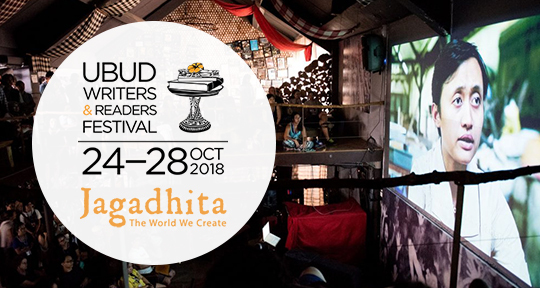 Welcome to the fifth installment of A World with a Thousand Doors, a showcase of contemporary Indonesian literature brought to you in partnership with the Ubud Writers and Readers Festival. 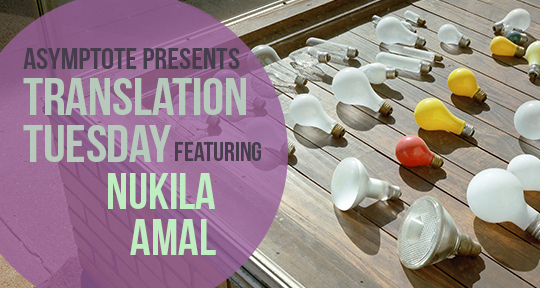 This week it gives us great pleasure to present a story by the award-winning author Nukila Amal, translated by internationally published writer, InterSastra founder, and past Asymptote contributor Eliza Vitri Handayani. If you’ve just discovered A World with a Thousand Doors, you can find an introduction and the first installment here. And we invite you to read the second, third, and fourth works in the series as well. Batara—or Bunny Battery to his pals—likes to hold a festive and meticulously prepared smokol (a.k.a. brunch) once or twice a month, depending on how often the Brunch Fairy has graced him with her visits. According to Batara, this Manadonese fairy is the ruler and protector of brunches, brunch cookers (like Batara), and brunch fanatics (like Batara’s pals Syam, and the twins Anya and Ale). However, his three pals suspect that this fairy is really Batara’s own invention. All Ale can report after actually visiting Manado is that the locals do indeed eat brunches, which consist of tinutuan, a kind of porridge, accompanied by banana fritters and fried anchovies dipped into dabu-dabu, a chili paste so hot that it makes their eyes weep, their ears ring, and, if prone, their minds hallucinate. To Batara, however, brunches aren’t that simple. With surplus imagination and a passion for perfection, Batara comes up with odd themes and dishes for his brunches. His three pals can never guess what will appear on his table. Nayla saw that her mother was no different than a monster. 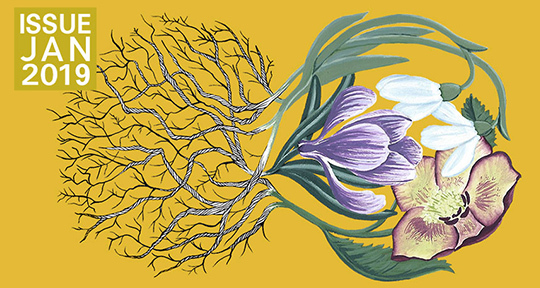 Excerpted from the novel Nayla by award-winning Indonesian writer Djenar Maesa Ayu, this piece continues our series, A World with a Thousand Doors—a showcase of contemporary Indonesian writing. 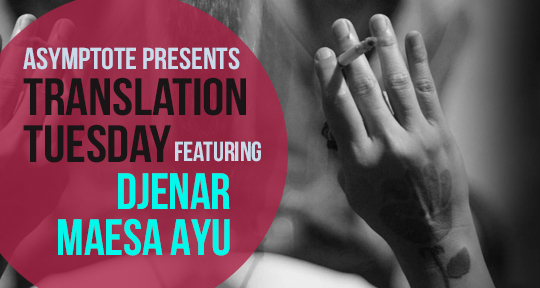 This showcase is brought to you in partnership with this year’s Ubud Writers and Readers Festival, where Djenar will be appearing as a guest. For more on the ethos behind A World with a Thousand Doors, read our preface to the series, and stay tuned for further installments. Nayla looked closely at the safety pins neatly arranged on the table in front of her. In the past, whenever Nayla saw these sharp objects, her body would tremble in fear. She would remain quiet for a long time until her mother eventually forced her to pick one. Her frequent hesitations led her mother to reach out and slap her hard across the face to force her to choose. In the past, whenever Nayla saw her mother strike a match, her body would shake in terror. Her mother would take Nayla’s chosen safety pin—obviously the smallest one—and burn it long enough to rid it of bacteria. Once Mother was satisfied that the pin was sufficiently sterilized, she would plunge it into Nayla’s groin. Nayla would squirm and squeeze her thighs as tightly as she could, attempting to minimize the pain. She would cry. She would struggle against her mother’s actions, which made Mother even more furious. Meet Clarissa Goenawan in person at UWRF! Asymptote readers enjoy 20% off on a 4-day pass, just enter 'MPAS' at the online checkout. 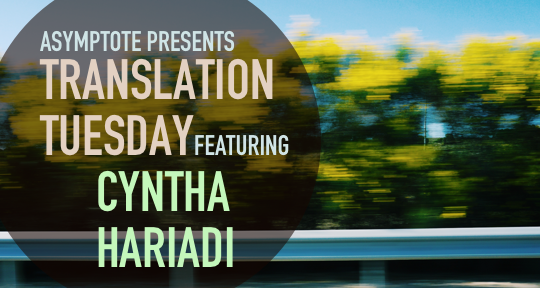 Continuing our collaboration with the Ubud Writers & Readers Festival, Asymptote is pleased to present this interview with Bath-Novel-Award-winning writer Clarissa Goenawan. Her novel, Rainbirds, released earlier this year with Soho Press, has garnered much praise from readers and critics alike. 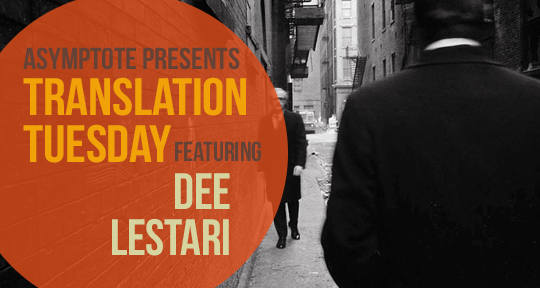 It has already been translated into several languages, including Indonesian, French, and Hebrew. Set in Akakawa, a fictional town near Tokyo, Rainbirds follows Ren Ishida as he retraces the life of his recently deceased sister. 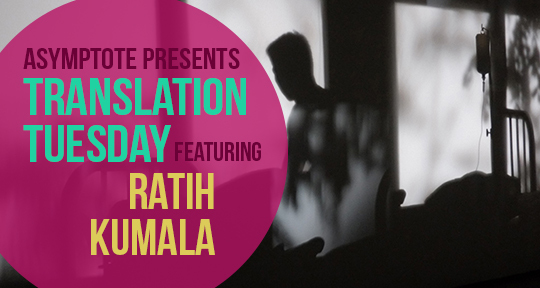 Navigating between sudden drizzles, cram school, and a strange arrangement between his late sister and a local politician, he attempts to make sense of her life and death. 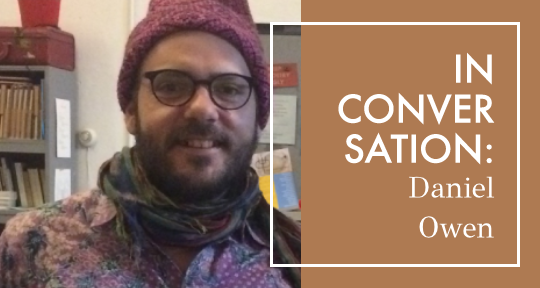 Asymptote‘s Editor-at-Large for Indonesia, Norman Erikson Pasaribu, had the opportunity to converse with Clarissa Goenawan before her appearance at this year’s Ubud Writers and Readers Festival. 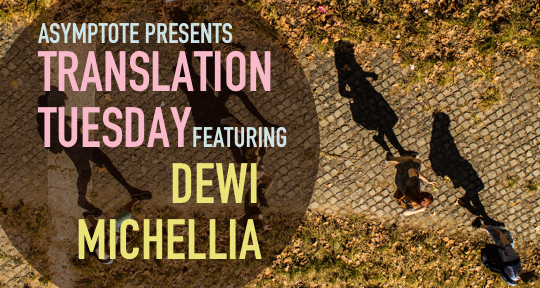 In the following interview, we discuss how Clarissa has moved between languages and places, her Indonesian-Singaporean background, and her choice to set the novel in Japan. Norman Erikson Pasaribu (NEP): Rainbirds is about the relationship of two Japanese siblings and how one discovers the other post-mortem. What inspired you to write about it? Clarissa Goenawan (CG): The idea for Rainbirds started from a simple thought: “What if someone I cared about unexpectedly passed away, and I realized too late I never got to know them well?” The question left a deep impression, and I knew I had to tell this story.